Apologies.. the sugar has taken over and it’s speaking through me! Some of you may remember that I had paid homage to Bakerella and created a Tiramisu Cake Ball recipe at the start of the year. And I know this may sound weird to you, but Nutella with green apples? ABSOLUTELY AMAZING!!! Preheat your oven to 180 degrees Celsius. Whisk egg whites and salt until stiff but not dry and keep aside. 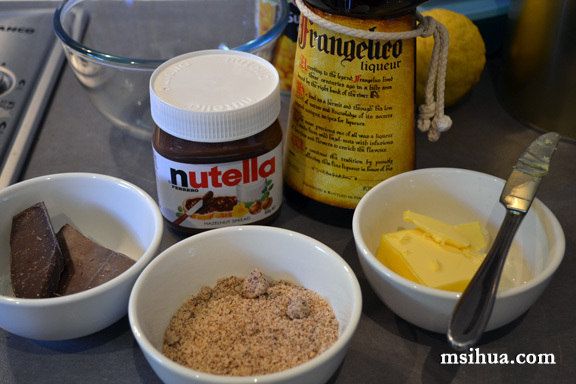 Place the butter and Nutella into a large bowl and beat until thoroughly mixed. Add Frangelico, egg yolks and hazelnut meal and continue to mix. Fold in melted chocolate (make sure chocolate’s temperature is cool) and a large dollop of whisked egg whites to lighten the mixture. Beat the mixture to thoroughly combine. Next, gently fold the rest of the whisked egg whites (a third at a time). Pour cake mixture into a Springform tin (greased and lined) and bake for 30 minutes or until test skewer comes out clean. Cool on a rack once done. Once your cake has cooled, use a measuring spoon to “scoop” out hemispheres (half spheres). The hemispheres should not exceed the height of the spoon. 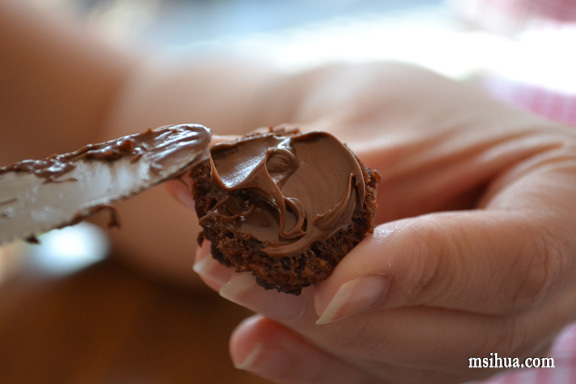 Get some Nutella and spread it on the bottom of a hemisphere with a nice even layer. Take another hemisphere (no Nutella spreading necessary) and place it with the other hemisphere to complete the sphere. 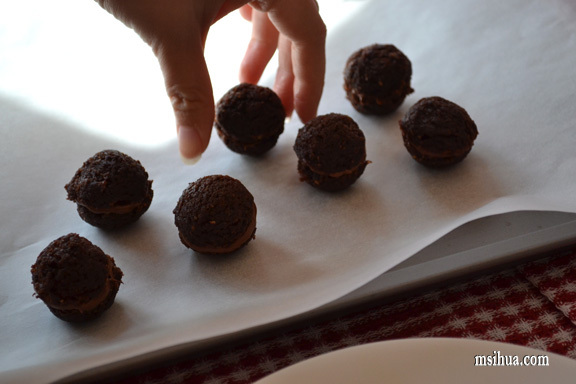 Place the completed spheres on a baking sheet. Attached lollipop sticks by inserting them through the spheres created. Once all the sticks have been attached to the spheres, place them in the refrigerator for 10-15 minutes to set. Serve them either plain on their own.. like a spherical sandwich or go that extra step and coat the spheres with more Nutella using a palette knife. This is where you can get creative and have sprinkles on them or just keep them with their happy twirls! I tried to create roses, but the Nutella coating was much too thick for that, but I came close to it, for one! So sinful, don’t you think? 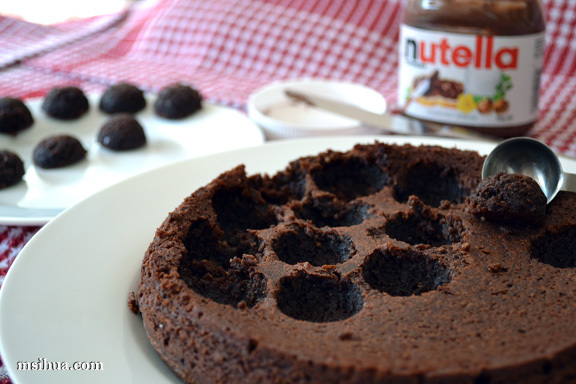 What should we do with the leftover Nutella Cake, you ask? Visit these other Cake Pop geniuses below for their mouthwatering recipes! I love that you kept the cake’s integrity with the two spheres as opposed to mixing it soggy with the frosting. Will definitely have to try this method! Sugar can definitely wear you like a sock puppet (I know I had the same issue about 20 minutes ago…) But it does make for entertaining reading :). IT CAN! I’m still on a sugar high from all our Nigella desserts this afternoon! Nom nom nom! Gorgeous! These are so blissfully sinful. I love Nutella too and could easily go through the whole jar. Love this! Thanks hun!! I want to lick my whole jar clean too! They look and sound delicious. But I don’t think I’d attempt them as cake pops look like too much work. Easier to eat the whole jar of Nutella 🙂 Sinful they definitely are. Good job with the pops. clever. now I really wonder what you did with the rest of the cake… hmmm? Lorraine @ Not Quite Nigella recently posted…Winemaker for a Day &amp The Granite Belt Secrets! I don’t know anyone that doesn’t like a good dose of Nutella! I cant seem to get past your spambot.. trying one last time 🙂 Nutella is my favorite alone, in something or just the thought of these are brillant! Nutellicious! Oh – and for some reason, your photos look even more gorgeous than usual in this post! Love. It’s the NUTELLA! All hail Nutella! 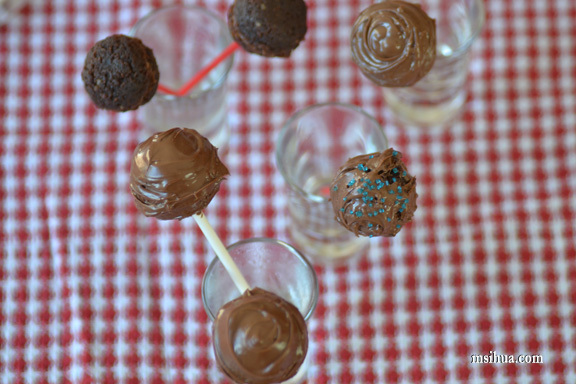 These are fabulous – I am impressed you were able to just make cake balls and not have them fall apart – I guess that’s what a denser cake will do for you, right 😉 I cut down the quantity of frosting in my cake pops by 1/4 and they worked out just fine. 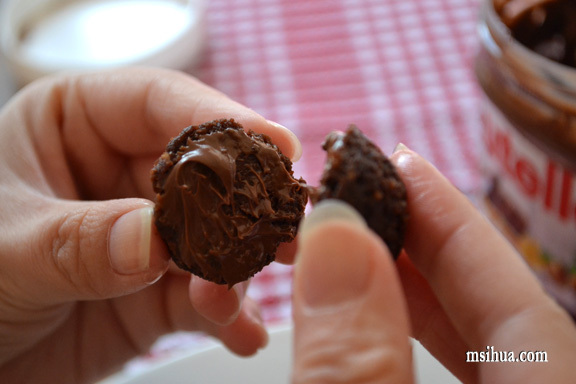 The texture was not soggy at all – more fudgey like truffle. 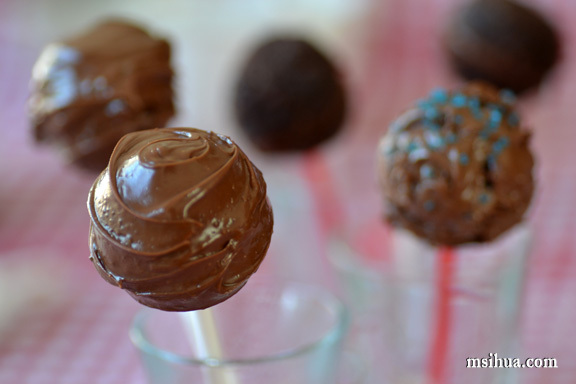 I was hoping someone would do cake pops with nutella so thanks – and that nutella cake looks amazing as is! [email protected] recently posted…International Incident Party- Cake Pops and a giveaway! These flavours – win! Might need to go downstairs for a nice digestive glass of Frangelico after reading this. 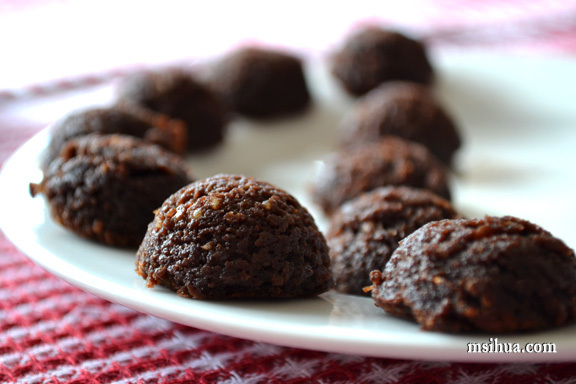 Cool method you’ve got here too, like a little mini cake instead of a fudgy mix! Your cake-atoos still amaze me! You rock! 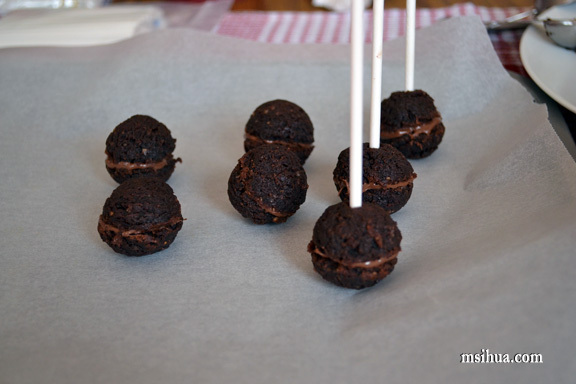 Anncoo recently posted…My First Cake Pops! Thanks.. I’ve got an interesting idea and it’s for dessert tonight! First off, I ADORE Nutella so this would be gone in a split second around me. Second, I love that you made these with actual cake scooped up rather than mushed up cake and frosting. The texture must be much firmer and fantastic! Wish I could try these <3. Oh I love your concept in the way you built the cake pops, really awesome. And Nutella is so awesome for this. I bet they taste just so amazing. Great work! Yup!! Can’t ever go wrong with a Nutella sandwich!! wow nutella! love how you sandwiched two halves with nutella. very creative. 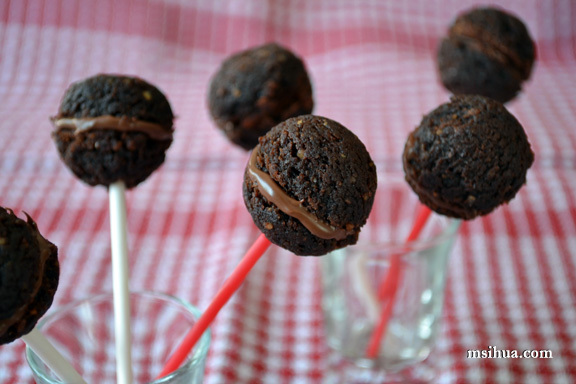 Your nutella cake pops are perfect! I love your method. So creative! Whoa. That’s a great way of creating cake pops – I didn’t think of that! 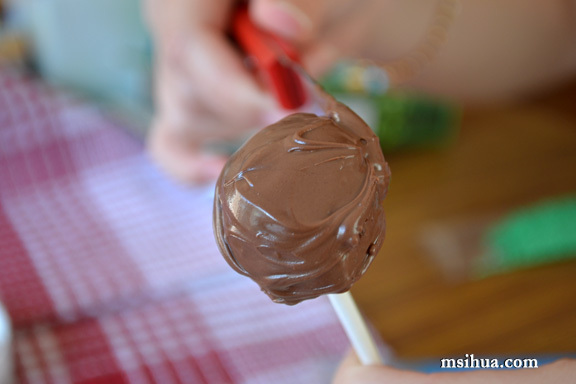 As a lifelong Nutella fan, I think this is the perfect flavor for cake pops. I love how your formed them – from sphere halves rather than rolling them. So much less messy but just as delicious!